An expert opinion on the devaluation of Egyptian pound. Alaa A. Rahman explains the circumstances and consequences of CBE's decision. I write this opinion piece at the risk of having disgruntled and frustrated people attack me personally, academically and professionally. 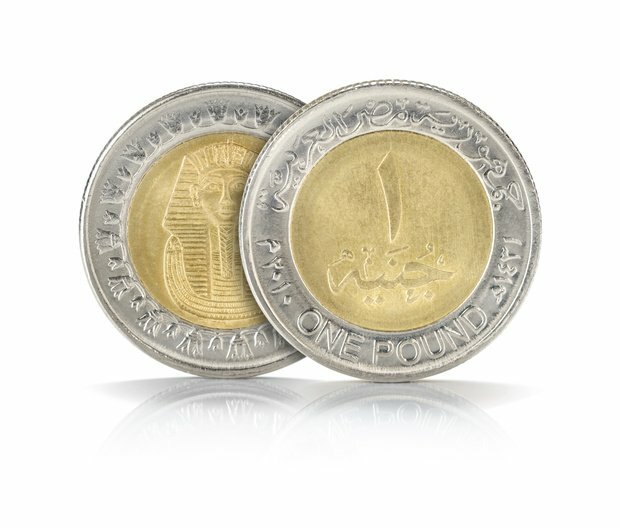 This makes the whole point of expressing my modest and somewhat young view on the CBE’s (Central Bank of Egypt) recent decision to devaluate the Pound. •	To kick off things, the old price of 7.83EGP/$US was sending out a distorted signal of the Egyptian economy; that it was strong and faring well locally, regionally and internationally when in truth, it wasn’t doing that well. Think of it as someone who wants to sell his old car and keeps posting images of how it is clean, well-kept and maintained when in fact, it’s been to the auto-shop more than any other car and it’s still running short of being as strong as the owner wants it to be. •	In order for the CBE to keep the exchange rate at the 7.83 level and make it seem as “strong” as one might think, CBE had to rely heavily on its NIR (Net International Reserves) to level up the market, keep prices in check and cover demand on $US for businesses and individuals. In simpler form, our friend who wants to sell his car uses up his salary, taps into his savings and pension – any kind of monetary reserve he has – to maintain his car and keep it in top shape in order to attract buyers. •	Okay, so why doesn’t the CBE keep at it instead of putting the country at risk of an out-of-control inflation? Well, that was the plan intended…initially. You see, the importance of NIR(1) for a country like Egypt is to help cover its imports. Egypt is a top importer and almost everything we have in the country is imported, from food to intermediary industrial material. The level of NIR the country has barely covers 4 months of imports and stands at $16.53 billion as of February, 2016 (2) . So, by overusing its NIR, the CBE is putting the whole country at risk of having it go and therefore, no more room for currency support or imports to cover Egyptians’ basic needs. •	So? Well, given the high risk, the CBE still wanted to keep the price level at 7.83EGP/$US BUT with a few added measures such as imposing caps (limits) on dollar-nominated transactions to control the dollar hemorrhage (or lack thereof) that’s been plaguing the economy for some time, mainly due to currency support and imports. Therefore, the CBE decided that it was high time the massive volume of imports got controlled and strict to basic needs and within certain limits. The caps introduced were limiting the businesses’ ability to pursue their day-to-day activities as well as the individuals’ which in no time, created a widespread panic on the market. The dollar has become as rare as rain in Egypt. •	Because of such measures, the demand on $US spiraled and supply became really low, which drove Forex bureaus to increase their prices and ladies and gentlemen, the parallel (black) market was born. And now Egypt had two prices: an official one at 7.83EGP/$US, far from reflecting the true strength of the currency and the economy and an unofficial one at an average of almost 10EGP/$US, which somewhat reflects the true demand on the dollar. •	This created a wide spread loss of confidence in the Egyptian economy from investors, who saw it was time to stop their stream of investments till the storm of uncertainty cleared out. Now, not only have investments decreased dramatically, tourism revenues have been shot down ever since the plane crash in October 2015 in the Sinai Peninsula, and the Suez Canal revenues have not been faring well in light of global trade slowdown. These three were considered Egypt’s main sources of hard currency (dollar). •	The CBE didn’t want to resort to depreciating the Pound and apparently, all its attempts were not conclusive enough to drive the black market prices further below 9.15EGP/$US on average (3) . Therefore, to save NIR and breathe life back into the economy, the CBE decided to drive up the exchange rate to 8.95EGP/$US in order to smoke investors’ loss of confidence in our economy out, to get the dollar flow back into the banking system and the markets, to relieve the amazingly mounting pressure off of the NIR and give a correct signal of the true strength of Egypt’s currency. •	Some measures were taken to try and curb the expected increase in prices that will most definitely happen following such a decision but to my knowledge, no clear statement was released explaining how this will be done other than the Monetary Policy Committee meeting in mid- March, where it was expected that interest rates would go up (4) , as well as a support package for exporting companies to level up the country’s exports. 1. The Egyptian industry’s long nap has to end! It has to be encouraged, developed and supported tremendously because relying on just tourism and Suez Canal revenues puts Egypt in a very tight spot (tourism is affected very easily by any security threat which the government cannot always control or prevent. Suez Canal revenues are primarily affected by global trade and the global economy’s state which are also out of the government’s hands). By developing Egyptian industries, we will get to substitute a lot of our import needs (which will give way to spending in other needed areas such as education and health) and get this, be able to export and increase our revenues from dollars! It is very vital and important that the government focuses on a clear industrial policy and vision. 2. “Encouraging investment and easing investment climate” has to move from it just being a poorly repeated slogan to an actual plan put quickly into action and executed thoroughly! Foreign investments are another important source of dollars and if properly supported and developed, will put Egypt on the global map as a desirable investment destination. 3. The private sector, informal economy and SMEs (Small and Medium Enterprises) are unused resources with a massive untapped potential; the CBE has taken a first step to encourage SMEs with easing credit access to them with a 5 percent interest rate on loans and having 20 percent of its loan portfolio dedicated to them. It’s not much but it’s still a way forward. These three unused resources will create fully fledged economic chains and flows with spillovers on employment generation and investment creation. 4. Strong market supervision from the Consumer Protection Agency (CPA) has to be put forward, to make sure that retailers and merchants don’t over-inflate their prices and therefore, put more pressure than there is already on the average Egyptian consumer. Market regulation and price monitoring should be a priority after such a decision. 1. The Net International Reserves (NIR) is the cushion on which the country – should it ever goes bankrupt or have all its money drained out of its borders – falls on to cover the necessary needs of the people from food and what naught as well as support its currency and covers demand and needs of the banks in the country. 2. It is also very important to mention that among the $16.53 billion of NIR, $6 billion are Gulf countries’ deposits, which they can withdraw whenever they want to. 3. That was after the CBE (during February 2016) decided to release the caps on individuals and companies dealing with the basic needs so they can import freely without barriers and get back the flow to the market. 4. Interest rates go up in order to limit the currency circulation in the economy therefore, controlling prices on the market through “controlling” people’s need to buy. In easier terms, with higher interest rates, it’s more profitable for people to deposit their money than use it up.